Grass to be strimmed regularly to dam head. Area between dam and road to be cleared of heavy vegetation. 10 year inspection coming up in 2020/2021 which will cost an additional £2,500 to £3,000 on top of the normal annual fee of £1,100 (£440 SEPA, £660 Engineer inspection and report). Club to start making arrangements to bank funds over next couple of years to cover. Members keen to progress with review of how we can get reservoir/dam classed as low risk. Proposal put forward to increase ticket prices in 2019 to cover the increasing cost of the Dam inspections and also to fund investment in a new perimeter fence. Adult member - £100. All tickets will be at this price with no difference for day/night. Concession - £50 which will include nights. Senior Junior and Junior to remain at £25 and £5 respectively. Proposal put forward to allow each member to bring 2 x guests per year on a special guest day ticket. Cost would be £15 for one night or £25 for two nights, payable via PP on club website. The club will limit it to no more than 2 guests per weekend. Unlimited during the week, but this will need to be monitored. The Member would be fully responsible for the conduct of the guest. The proposal for a new fence was discussed and all attendees agreed this was a required improvement. To replace entire fence will be expensive, so is proposed to be replaced over a couple of years to reduce financial impact. Lillies – Continue with the grappling hook wire rake. Work parties – to continue as last Sunday of every month. Lake to be shut for fishing from 10.00am – 16.00. Dam head to be strimmed and kept like a lawn. Trees – Meeting on site with Hank to agree what trees are to be trimmed. Some dead trees to come down. Astro turf – laying astro turf to a few more swims in 2019. Nick Boyce stepping down as Treasurer. Peter Gerlam voted in. Mike Douglas stepping down as Secretary. Davie Powell voted in. Committee members for 2018/19 to be Gareth, Brian, Bruce and Jonny with Paul Goodfellow joining the fold. Constitution – All new members to be asked to read and sign the club constitution to avoid any further insurance claims in the future. 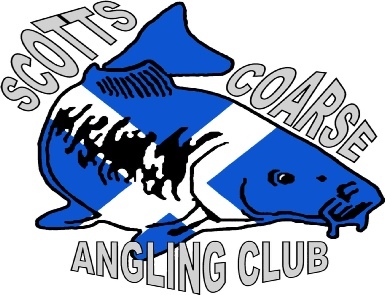 Competitions – in 2019 to be 1 carp competition and 1 pike competition. Dates and details to be confirmed.